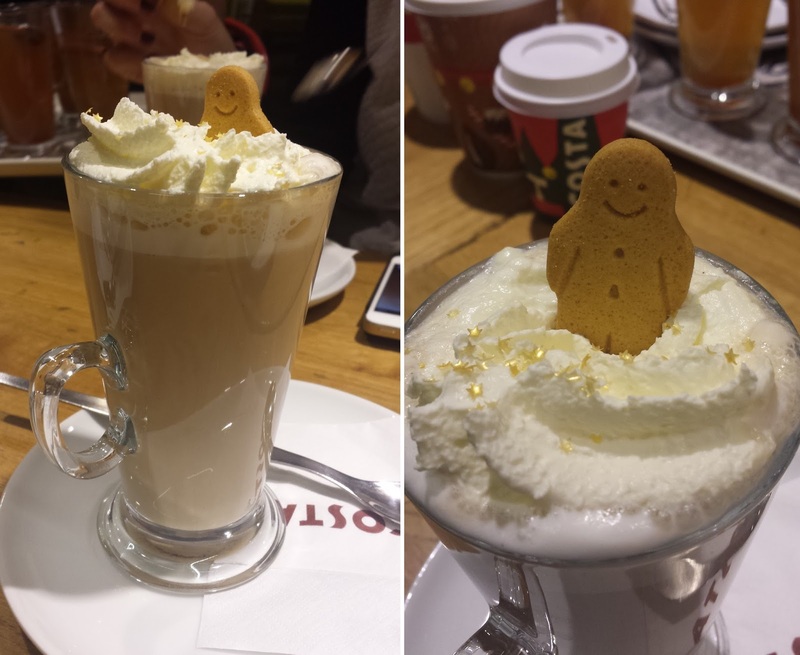 A few weeks ago I went along to Costa for the launch of their new Christmas drinks. I had been excited about it all day - We got to try each of the new drinks plus all the new cakes and snacks which officially launched the next day - Friday 7th November. 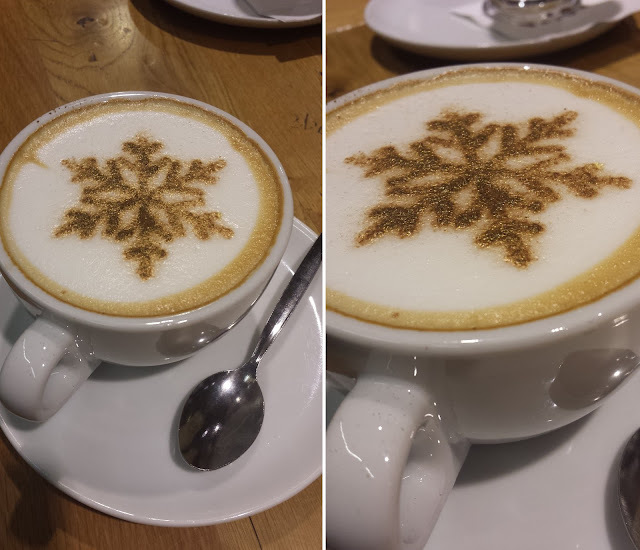 The whole idea with the new drinks is for them to add a little magic to every day which each of them do - they are each so special and well thought out - not to mention the golden chocolate powder and golden stars that go on top of some of them and of course the cups are back! This time we have a santa, a snowman, a reindeer and an elf! How Cute!? They are also doing pretty ceramic mugs in the same 4 designs at £7.95. Super Cute. So on to the drinks! 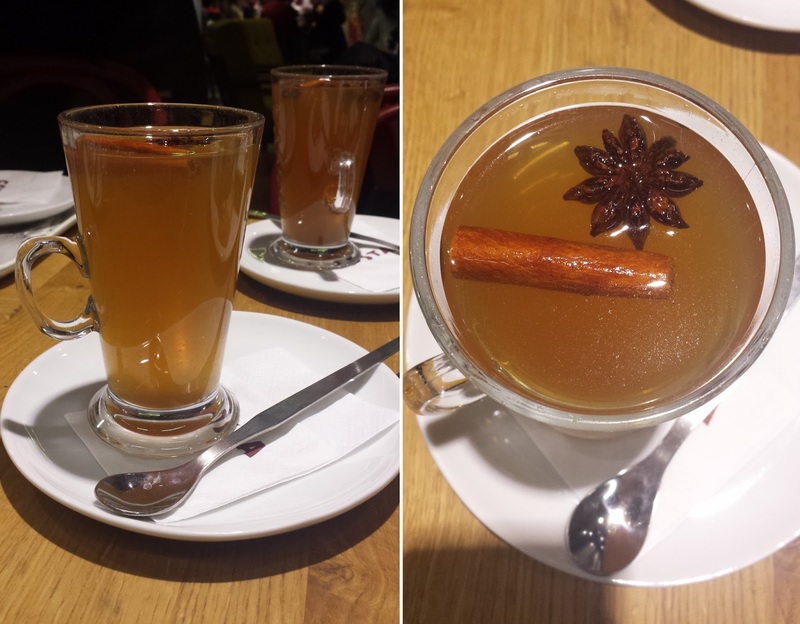 First we tried the Hot Spiced Apple which I think was actually the most christmassy of them all! It looked so pretty with a star anise and a cinnamon stick floating on top and it smelt amazing! Brownie Hot Chocolate was next. This one sounded super excited - its a normal Costa Hot Chocolate with an added shot of walnut brownie syrup topped with cream and brownie fudge pieces. I'm not really a nut lover so it's not my favorite of the range, although I did eat all the cream and brownie pieces off the top. Obvs. 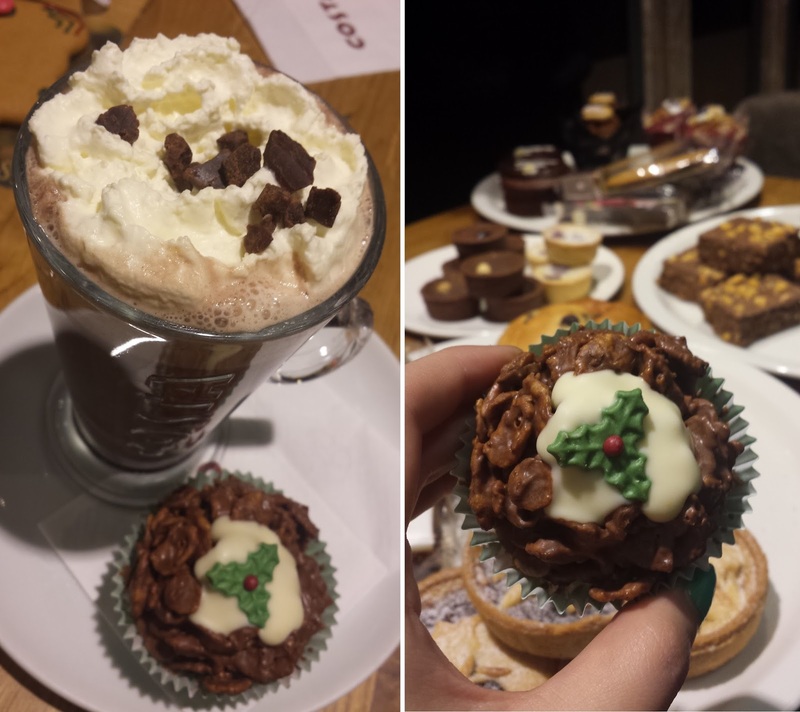 I couldn't resist the four plates of cakes next to me by now so I had to try a Christmas Cornflake Crunch with it which as you can imagine, was delicious and it was super cute topped with white Belgian chocolate and a sugar paste holly decoration. It looks just like a mini Christmas pudding! The Orange Hot Chocolate this year was super special. 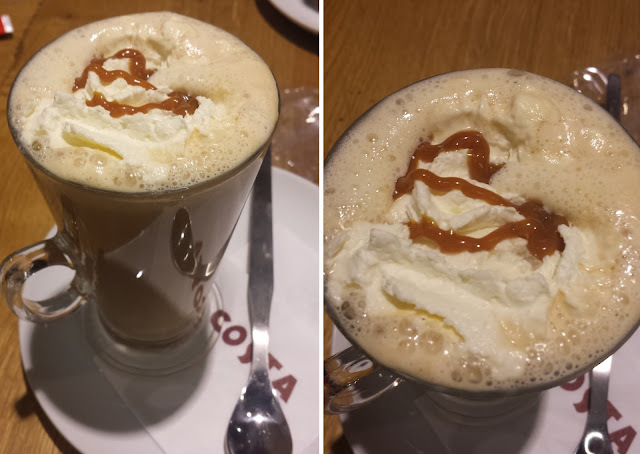 The drink itself was a Costa Hot Chocolate with an added shot of orange syrup and it was super orangey but this time they wanted a change from whipped cream but something just as indulgent and decadent and I think they came up with the perfect topping! Gold chocolate powder and a pure Belgian chocolate lattice that melts on top. Its really good! .Next was a sticky Toffee Latte which surprisingly was in my top 3! I'm not normally a huge coffee fan but two of my top 3 this time around were both lattes! This one was served with Sticky toffee sauce and topped with cream, does it get any better than that?! 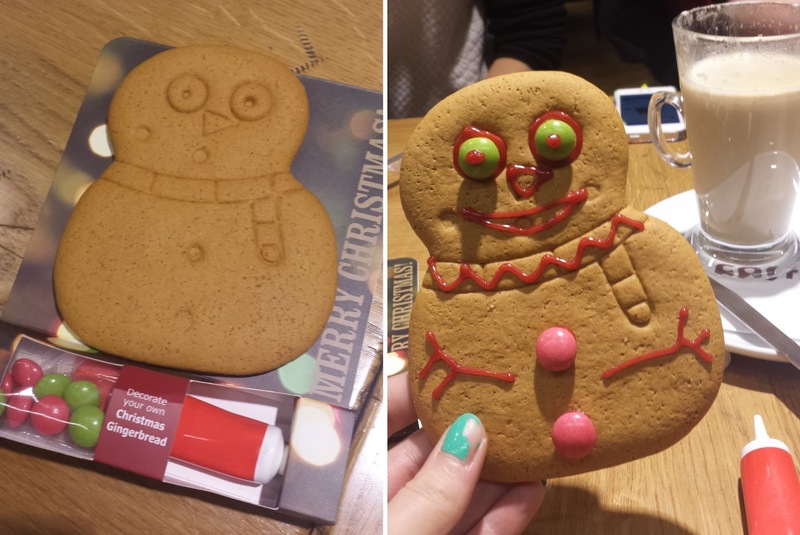 Drinking that, meanwhile we were all messing about with our Ice Your Own Gingerbread haha Mine turned out a little scary but its a great way to keep the kids entertained while you relax with a drink! They come in different shapes and with smarties and icing! 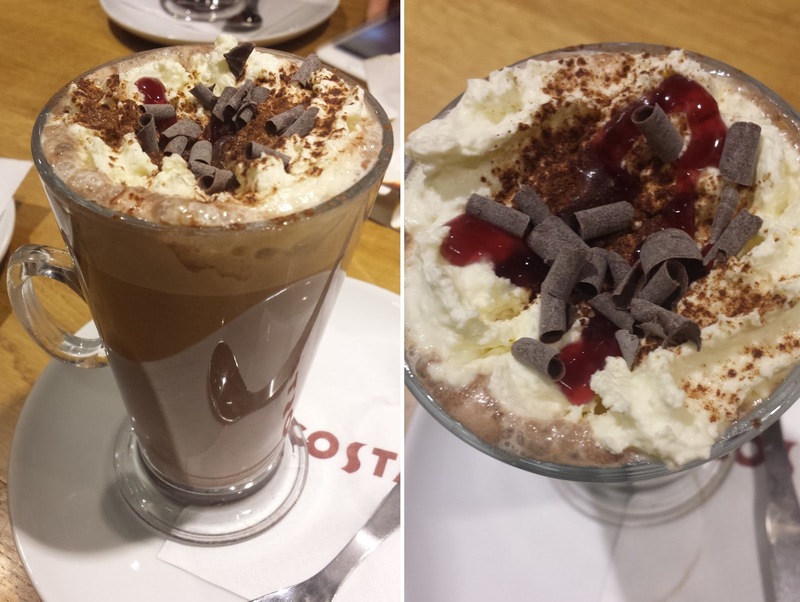 Ok, so whats next hmm there the Black Forest Hot Chocolate which I really enjoyed! It has a shot of Blackberry syrup inside and cherry sauce on top with whipped cream and a sprinkle of Belgian Dark Chocolate curls of course! Only two left and by this point we had all had enough haha first out was the White Hot Chocolate which was my favorite last year so I knew I was going to love it anyway especially with the cherry sauce and a little sparkle. Since I couldn't handle another hot chocolate that evening. 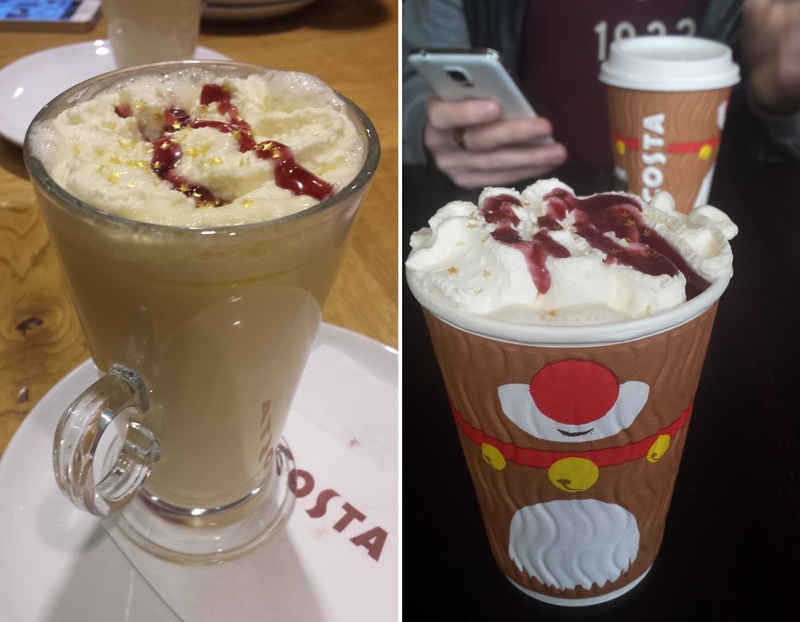 I took Andrew to Costa and had to get myself a white hot chocolate (He went for a brownie one) and it was delicious. Definitely my favourite! And finally we get to the last one - the Praline Cappuccino blended with Praline Syrup with the prettiest golden snowflake on top! 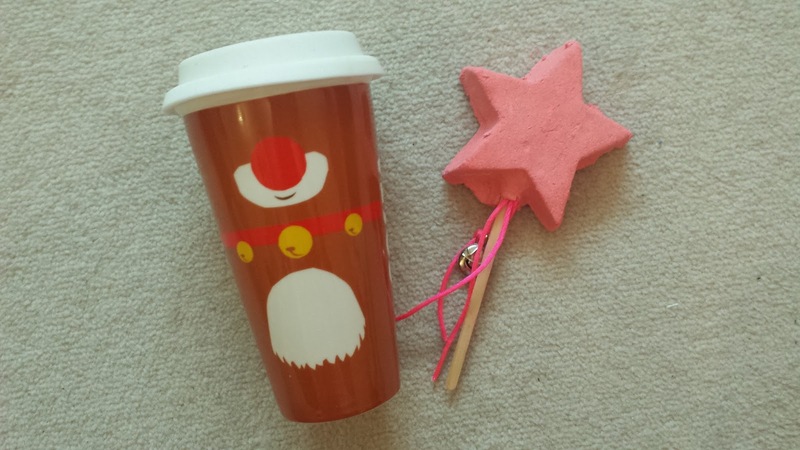 Costa kindly gave me a lovely christmas cup to giveaway with this post and I am going to include a lovely Lush Magic wand as well! As usual just enter in the rafflecoptor below! It runs for two weeks and hopefully I can get the prize out for xmas although I cant promise anything! Whats Your Favourite Costa Christmas Drink? 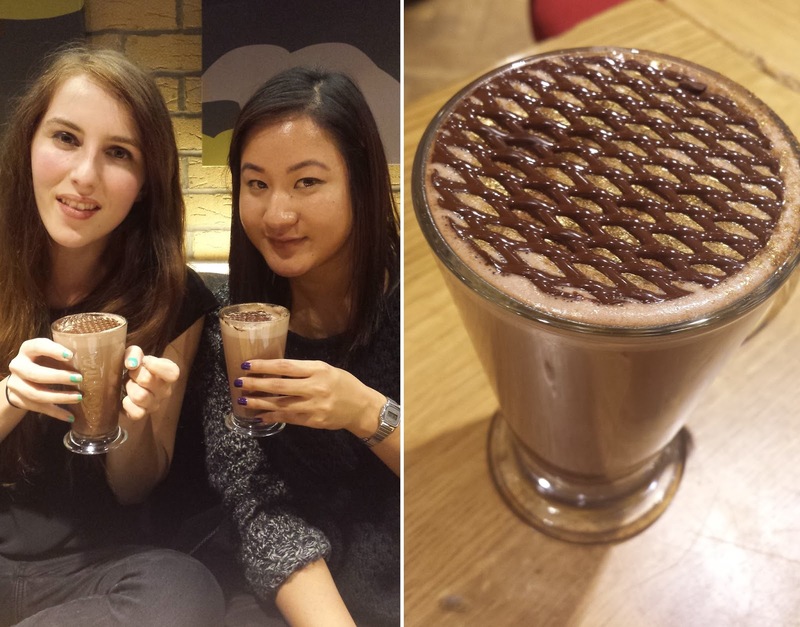 I absolutely love their brownie hot chocolate! I tried the spiced apple last year and was so happy to see it in a shop -normally it is reserved for making at home. My favourite!